377/3 10 Years & Counting! Southern continues to present aberrations to its livery. On 25th March two 377/3s working together displayed anomalies. Both photographs were taken at Redhill by Ian Docwra. 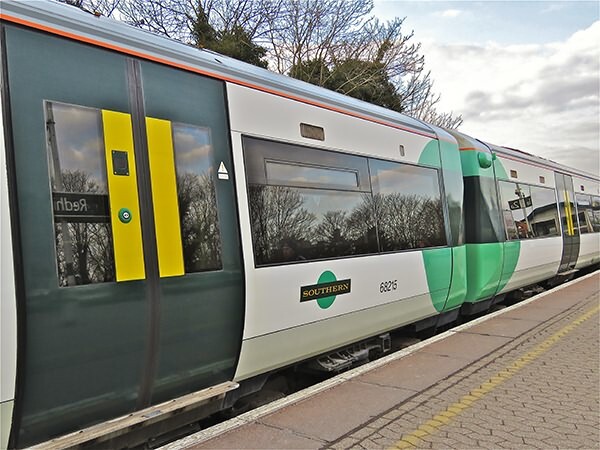 (above) Both driving cars of 377325 have their Southern roundel between the second set of doors and its inner end rather than between the doors. (below) 377302 has first class decals on the windows of the standard class saloon adjacent to the driving cab. How many standard class passengers miss this saloon and how many first class passengers sit in it and get short-changed? 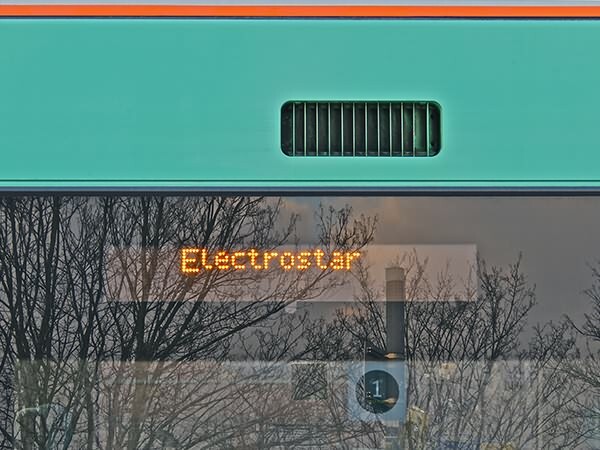 This extra content is brought to you by the Southern Electric Group as a service to its members and enthusiasts. The Southern Electric Group is the only group covering all aspects of the Southern Electric System past, present and future. If you are not a member you are very welcome to join the group. For more details please return to our main site. All text, graphics and photographs are © Copyright Southern Electric Group and contributing authors and photographers. To return to our main website - if you arrived here from a link on our main website please close this window.